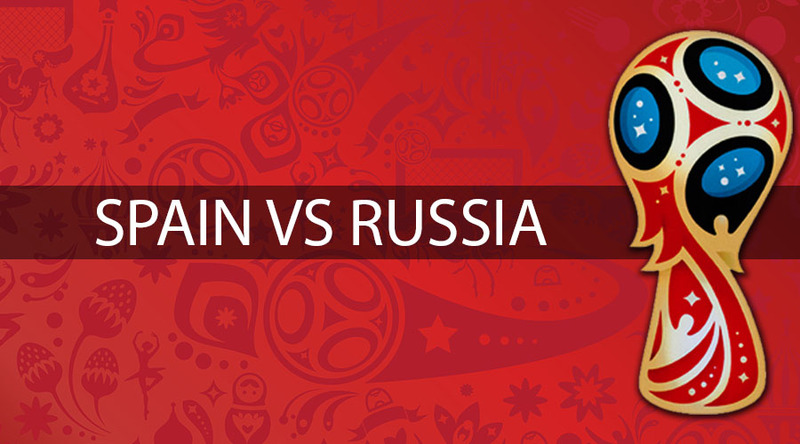 The clash between Spain and Russia will be played at the Luzhniki Arena in Moscow on July 1st. Spain showed little to convince us they are the genuine contenders for the World Cup title and they have plenty of fuel left in the tank, so we’re expecting a way better displays from one of the biggest favorites to lift the trophy. Spain didn’t suffer a defeat in the group phase, but they won just one game, and we must say that they had a bit of luck to even be in the Round of 16, as they nearly lost to Morocco in the previous game, but the VAR system helped them to avoid a shock. While they are playing okay in the attack, the defense is a concern as the Red Fury allowed five goals in two games, and that is utterly unorthodox for the defense of such a big quality. On the other hand, Russia pleasantly surprised many with eight goals in the opening two matches, but the reality check hit them in a tilt with Uruguay, as the Sky Blues beat them, 3-0. It is obvious that the Sbornaya doesn’t have a quality to cope with better teams and wins over Saudi Arabia and Egypt doesn’t reflect a clear picture of the current situation in the Russia squad. They will likely struggle with the Spaniards here, but the Russians will also be looking for their chances, mainly from the set-pieces and counter-attacks. Diego Costa didn’t experience the best of times against Morocco, but he shouldn’t have any trouble to outsmart the slow Russian defense, so I expect Atletico Madrid’s striker to torture the hosts and he could score a goal or two on this one. Artem Dzyuba displayed a good form at the World Cup and not only that he scored a couple of goals so far, he proved to be the biggest threat in the opposing box. A towering striker can create a havoc in the penalty box and although Sergio Ramos and Gerard Pique successfully played against much better players, they are not quite reliable at the moment, so the Russian could take advantage of Spain’s defensive struggles. Spain: De Gea; Carvajal, Pique, Ramos, Alba; Busquets, Koke; Iniesta, Isco, Silva; Costa. Russia: Akinfeev; Fernandes, Ignashevich, Kutepov, Zhirkov; Zobnin, Gazisnkiy; Samedov, Golovin, Cherishev; Dzyuba. Spain’s chances to win the World Cup are now +450, while the Red Fury is -120 to reach the semi-finals. Russia’s chances to win the World Cup are now +7000, while the Sbornaya is +800 to reach the semi-finals. Spain is a firm favorite to get a win here, but it is not such a wise decision to back them at -1664 and risk your stake just to profit the half of it. Instead, if you are convinced in the Red Fury’s victory, it is better to opt for the -1 spread, so if they record a narrow win, you’ll get your money back.